Sukmawani Bela Pertiwi or Bela as her nickname is currently a faculty member in the Internatonal Relations Department, Bina Nusantara University. She serves as the subject content coordinator of courses on regionalism and area studies. She received her bachelor degree from Department of International Relations, Universitas Gadjah Mada (UGM) in 2010. In 2014, she received her master degree on International Politics from American University, Washington, D.C., the United States. 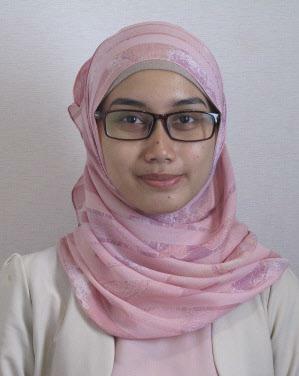 Prior to joining the Bina Nusantara University in 2015, she was a lecturer in the Internatonal Relations Department, UGM, and also the manager of publication in the Institute of International Studies (IIS), UGM. She has also served as researcher in the Centre for Southeast Asian Social Studies (PSSAT), UGM, in 2010-2015. Pertiwi, S. B. Explaining China’s Growing Assertiveness in the South China Sea Conflict from 2007-Present. Academia. edu. Pertiwi, S. B. The Escalating Tension between China and the Philippines In the South China Sea from 2007 to Present. Pertiwi, S. B. Understanding Reforms in Myanmar: Linking External and Internal Factors. Pertiwi, S. B. ASEAN Double Crisis. Pertiwi, S. B. (2014). The rise of territorial disputes and the stability of southeast asia. American University.